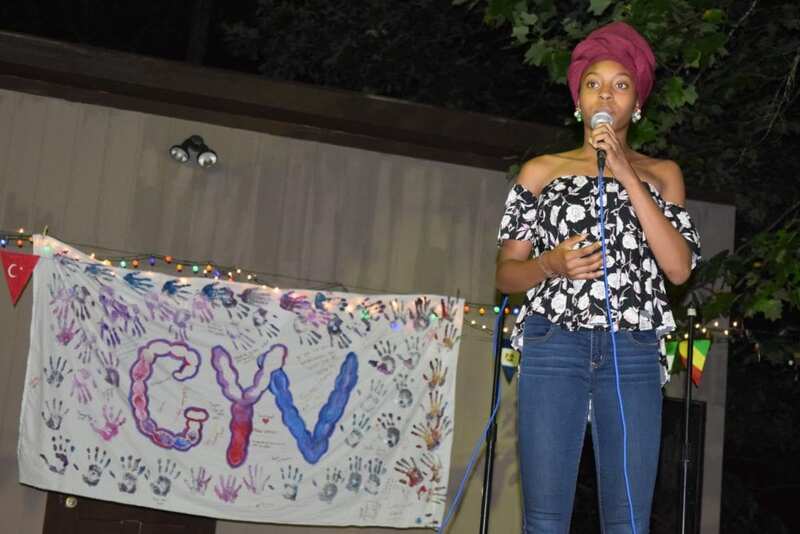 Each year at GYV, the final night at camp is filled with smiles, laughter, and tears as the participants treasure their last moments together. The last evening program is Sharing Night, a large talent show where participants are encouraged to share their talents and passions with the rest of camp. The concept of sharing on the last night emphasizes one of the main principles of GYV: effective communication and dialogue with others and cultural exchange between the villagers. Sharing Night was a celebration for all the participants — whether on-stage or off. Throughout the night, everyone cherished each other’s presence and encouraged one another as they got on stage. Participants helped to plan the event, choosing a theme, facilitating rehearsals, emceeing, advertising to the camp, and providing general support during the event. The student-led team chose “Gala” as the theme, encouraging their fellow villagers to dress in their nicest clothes. 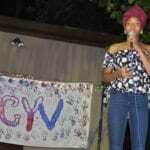 Acts ranged from spoken word to music performances and dances. Hilda shared poems from her childhood, the improv elective group performed a skit about GYV, Chloe performed three songs with her ukelele, the Community Assessment action team presented their survey results, Ahmed wrote poetry about how this experience has impacted him, and Skyler shared a praise dance. Students gained the courage to get on stage, share their stories, and express themselves through different mediums. Throughout the entire event, participants continued to encourage the performers, thoughtfully listening to each participant and cheering for them after each performance. After reminiscing on the past two weeks, participants jumped on stage to dance. Each one had learned a dance routine in a Zumba course that brought them together to dance and have fun as a village for the last night. 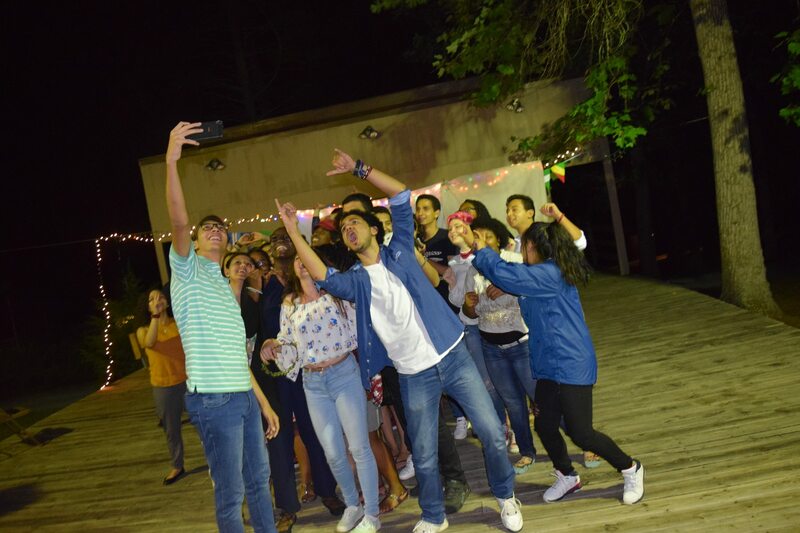 The night ended with a slideshow filled with pictures capturing the memories of this summer’s Global Youth Village.